You can certainly go home again, but if you’ve been gone for awhile, it may take some time to get comfortable. If you’re Aaron Harang, “some time” is equal to three innings. That’s how long it took the San Diego native to get his bearings in his season debut and give Padre fans hope that general manager Jed Hoyer’s reclamation project could pay big dividends in a rotation that has come out firing in 2011. It was also how long it took Harang to realize that the ghosts that haunted him for years at Great American Ballpark aren’t nearly as scary when you get closer to sea level. It was a lesson illustrated in the first inning when Buster Posey hit a long fly ball to center field. In Cincinnati, Harang would have been left to rub up a new baseball. In San Diego, Cameron Maybin settles under it for the final out of the inning. It’s understandable if Harang is still a little jittery about balls hit in the air. Once you’ve given up 20 or more home runs for six straight seasons, you start to think that everything hit well has a chance to leave. 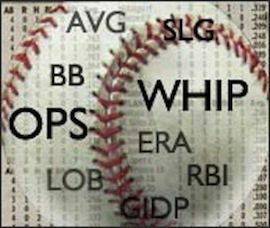 It also causes a tendency to forget that you own a set of four plus-pitches that can be thrown for strikes – including a four-seam fastball that lives in the low 90s and a tailing two-seamer that eats up right-handed hitters. Instead, Harang tried nibbling, and it nearly sunk him in the third inning. Trailing 1-0, the Giants had runners on the corners with no outs. After striking out Andres Torres and Freddy Sanchez, Aubrey Huff walked to load the bases for Posey. Harang fell behind 2-0 but remained reluctant to challenge and was fortunate to get a couple of generous strikes called off the outside corner. Then with a full count, Harang came in with the two-seam fastball and got Posey to hit a soft comebacker to get out of the inning unscathed. Once the Pads rallied for three runs in the bottom of the third, Harang truly went to work. He breezed through the fourth and fifth innings, using just 25 pitches. In the sixth, Harang gave up back-to-back two-out singles but looked unfazed as he dominated Pat Burrell for his sixth and final strikeout of the game. For Harang, it’s now about building trust. Trust in your teammates and coaches. But more importantly, trust in the ballpark. In order for Harang to remain aggressive, he will need to believe that Petco Park is as forgiving to pitchers as everyone says it is. He will need to feel comfortable enough to know that not every mistake automatically turns into a run. But if you can’t feel comfortable at home, where can you be? $100K reward offered for info in Bryan Stow attack – The Los Angeles City Council voted on Tuesday to double the reward being offered for information leading to an arrest and conviction in the brutal attack of a Giants fan that took place in the Dodger Stadium parking lot last Thursday. The city will donate $50,000 to match the funds that had already been donated by the Dodgers, Giants, L.A. Supervisor Mike Antonovich and the ambulance company that employed Stow as a paramedic. And for closers – The same day that Angels manager Mike Scioscia announced that Jordan Walden would be the team’s new closer, Walden got his first opportunity in a win over Tampa Bay. The hard-throwing right-hander made short work of the Rays in the ninth, retiring the side in order to preserve a 5-3 win and earn his second career save. Walden’s only other save was last season … against Tampa Bay.